Mahindra and Mahindra is a well-known name in the field of automobile manufacturing in India as well as many other global markets. However, until recently they were known mainly for the excellent cars that they made and sold at various parts of the world. But now, Mahindra has forayed into the field of two-wheeler manufacturing and has made its presence known with some of the most economical and powerful bikes in the market. The two-wheeler manufacturing business is a thriving business in India, thanks to its large population. As many of these people cannot afford to buy a car, they end up buying a bike to meet their travel needs. In addition to this, the traffic congested roads and lanes of India are best suited for a bike and not as much for a car. This is where companies like Mahindra with their in-depth knowledge of Indian market can succeed. Although the company took up the two-wheeler business rather late, in 2008, it has been able to do well in the industry. Mahindra has a manufacturing plant at Pithampur in Madhya Pradesh. It is from here that the various bikes like Duro DZ, Flyte, Kine, Rodeo RZ, Centuro, Pantero, Mojo 300cc and Cevalo 125cc among others roll out. Here is a lot at a few of the most popular bikes from Mahindra. 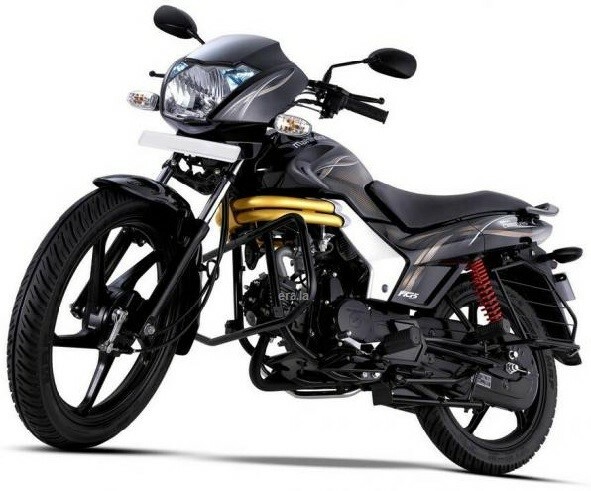 Centuro – Mahindra Centuro is undoubtedly the most popular and most economical bike of the lot. Priced at around Rs. 46014/-, this bike returns a superb mileage of 85 kmpl or more. As a commuter bike, this is one of the most attractive options around. Pantero – Mahindra Pantero, priced at about Rs. 39700/-, is another best seller from the maker. It is specially designed for jungle drive and it comes with a powerful engine. It features an advanced technology using microchip to ignite power and the mileage and acceleration is depended on the power motor with five curves. Rodeo – Mahindra Rodeo is a gearless scooter that has been accepted widely for its good performance and great looks. Available for a base price of Rs.43850/-, this bike has become one of the most sold models in the gearless scooter segment. It is stylish, economical and offers a powerful performance. Duro – Mahindra Duro is another scooter that has done well in the Indian market. It offers a great ride and is easy to handle as well. It is priced at Rs.45450/-, making it an attractive option than some of the costly rivals. Apart from these models, there are many other bikes like the Flyte and Kine, which are lightweight and affordable. In addition, bikes like Mahindra Mojo 300 and Mahindra Gusto are a couple of upcoming bikes, which are lined up for launch shortly. to pursue their weight reduction neither did we. Eat reasonable portions (give up eating if you are full). fat or folks that eat hardly any yet still put on weight.